Times They Are a Changin’…So Are Refrigerants! I do my best to stay on top of all of the legislative changes within my industry, but there are seriously so many of them! Thankfully, I have a team of people around me, professionals in their fields, who keep me informed. Jessica Mraz, from Fidelity National Home Warranty (FNHW), just stopped by my office and informed me that as of January 1, HVAC system manufacturers no longer produce air conditioners and heat pumps containing R-22, commonly known as Freon (Title VI of the Clean Air Act). 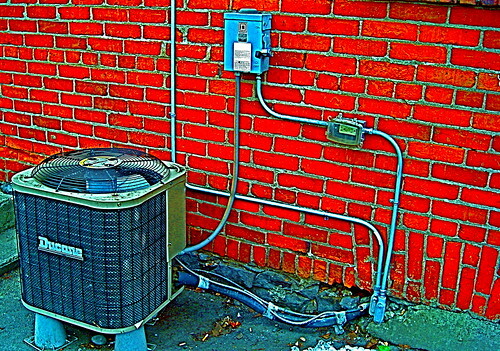 Consequently, the HVAC industry has shifted to the refrigerant R-410A, commonly known as Puron. This is important information for homeowners! Why? Because when your air conditioning unit needs to be serviced, or replaced…and it eventually will, you will learn that only a limited amount of new R-22 is being manufactured (to meet the servicing needs of equipment manufactured before January 1, 2010). After 2020, production of R-22 will be prohibited and only recovered, recycled, or reclaimed supplies of R-22 will be available for servicing existing equipment. So, in the future, R-22 supplies will be more limited and costs may rise. If you don’t currently have a home warranty on your home, you may want to consider adding one…for approximately $380/year, it can buy a lot of peace of mind. If you already have one in place, I’d suggest you contact your provider to ensure that they will provide proper coverage for your unit, now that the new legislation has been put in place. – Replace covered components that are necessary to maintain compatibility with the replacement unit. – Replace the indoor furnace or air handler, evaporative coil, transition, plenum, indoor electrical, duct connection, accessible refrigerant and condensate drain lines and thermostatic expansion valve (TXV). This entry was posted on Thursday, March 11th, 2010 at 12:24 pm and is filed under Home Retention, Real Estate News. You can follow any responses to this entry through the RSS 2.0 feed. You can leave a response, or trackback from your own site.